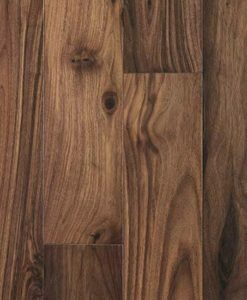 Solid Walnut Flooring varies in colour from light tones to dark chocolate with streaks and swirls. Walnut has an extremely luxurious feel and look to it. Solid Wood Flooring have become much more fashionable in recent years, being the premium choice of floors, having solid walnut floors in your house increases the value of your home. Nothing beats the solid feel of a solid hardwood floor. If laid correctly hardwood flooring can last a lifetime, due to the thickness it can be re-sand many times, so it still has the amazing look from the day you bought it.